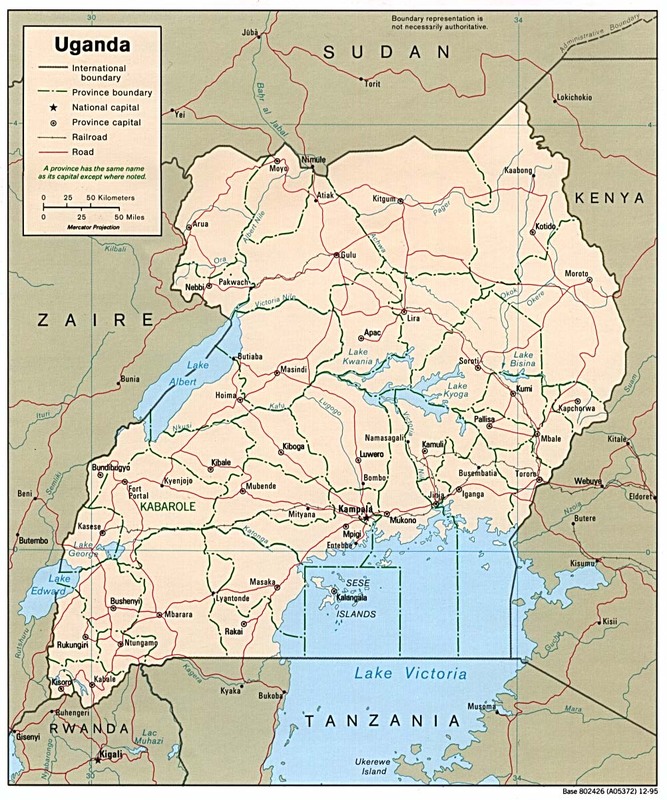 Uganda is a landlocked country located in East Africa bordering Lake Victoria. Less than 30 million people live in the country, and 14 million are children below the age of 15. Uganda is a country that has been hit very hard by the HIV/AIDS epidemic and the on-going conflict in the north and eastern Congo. 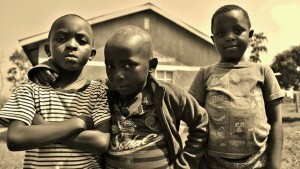 As of 2005, 230,000 children were left orphaned as a result of HIV/AIDS, war in the Congo, and other diseases. Wekomiire Parish is located in Western Uganda, Kyegegwa District, Kyaka sub-county. Poverty within the region, lack of education, disease, and the break down of traditional family support networks have led to many children being orphaned . After critical analysis of the sufferings of many homeless children due to HIV/AIDS in Wekomiire Parish, Bishop Dr. Robert Muhiirwa deemed it necessary to help these homeless children by founding Miryante orphanage in 2007 under the supervision of Fr. John Baptist Mwesige. At the opening of the orphanage in 2007, Miryante Orphanage had a total of 250 orphans-90 of which were HIV positive as a results of parent to child transmission. Funding for the opening of the orphanage came from Bishop Muhiirwa and the Ft. Portal Diocese in the amount of 20,000,000 UGX ($10,000 US) in order to build a dormitory consisting of two rooms. 40 acres of land was donated to the project by the Diocese of Ft. Portal. In 2008, Fr. Bernard Bitekerezo of Wekomiire Parish was entrusted with the responsibility of securing funds to complete the construction of the dormitory, plant crops to provide food for the orphans, construct a cooking area, latrines, bathing facilities, and to pay the nine caregivers who were living at the orphanage with the children. After a two month campaign in Australia in 2008, Fr. Bernard was able to solicit enough money to complete the previously mentioned tasks, but the problem remained of securing enough money to feed the children. There was also a lack of space to accommodate all the children and a need for more caretakers. 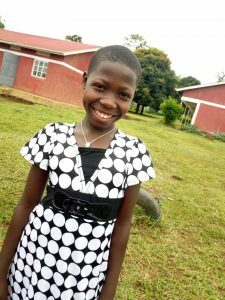 In February of 2009, it was determined that the orphanage could no longer meet the needs of the children, and all 246 children (four had passed away due to HIV/AIDS), were sent to live with well wishers in the neighboring community. The remaining money gathered in Australia was use to pay school fees for the orphans so they might be able to purchase the necessary books, pencils, and uniforms to attend school. 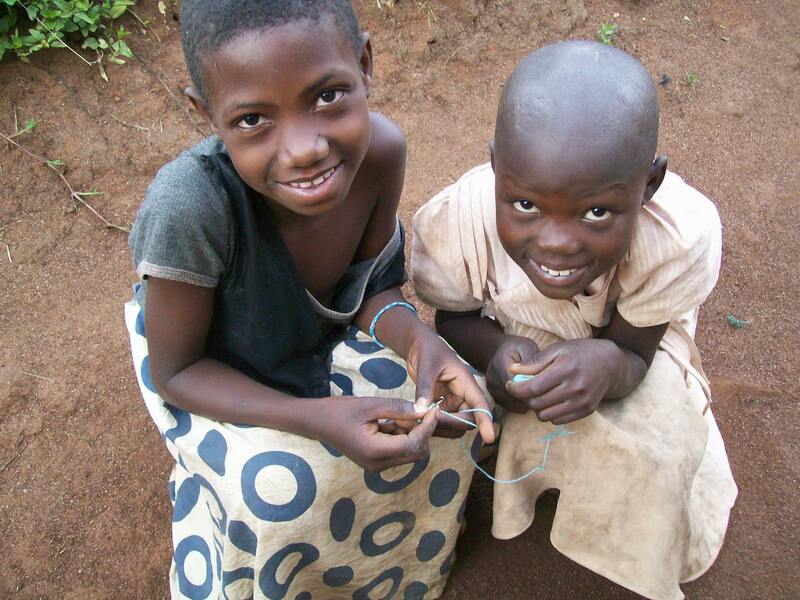 Traditionally in Uganda, when children were orphaned they were taken in by aunts and uncles or other relatives. Since the start of the HIV/AIDS epidemic, however, the sharp increase in the number of orphans has made the burden too much for families to bear, and often times grandparents are left raising their grandchildren when they no longer have the strength or money to provide for them. The children who were brought to Miryante Orphanage came from the most extreme cases where the children were being neglected and relatives either didn’t exist, or were unwilling to take on the responsibility of caring for another child. The average number of children per family is 6.1, and there is a widely acknowledged discriminatory treatment of orphans. The purpose of Miryante Orphanage is not to dismember families, but to provide an environment where children can grow up with love and dignity. 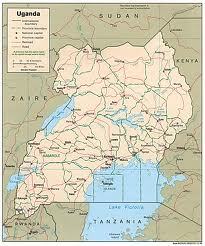 Kyaka sub-county is one of the poorest sub-counties in Western Uganda. Most people survive on sustenance farming and earn less than 2,000 UGX ($1 US) per day. 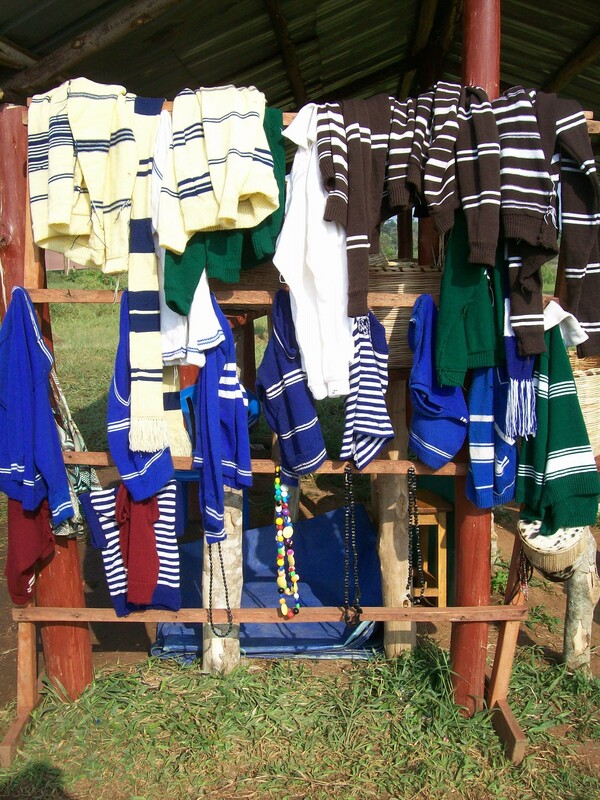 The weekly collection at the Kyegegwa Parish amounts to 20,000 UGX ($10 US), not enough to provide on the necessary funds for the orphanage. The goal is to make Miryante a self-sustainable orphanage while raising orphans in an environment with enough food, water, shelter, health care, love, and spiritual support. Thanks to a campaign to reopen the orphans home at the beginning of 2009, Fr. Bernard Bitekerezo was able to solicit funds to reopen the project from the United States of America. The organizational plan was restructured to slowly admit orphans at a sustainable rate based on the reception of financial support, and in August of 2009, the orphans home reopened with only 10 children. Currently Miryante Orphans home has expanded its services to over 150 children. It has completed the building of 12 housing units, secured a clean water supply, cultivated the surrounding land to help feed the children, and developed animal husbandry programs and vegetable gardens to improve nutrition. In January 2012, Father Bernard Bitekerzero was replaced by Father Aloysious Maniragaba also of Wekomiire Parish. Under Fr. Aloysious' leadership, Miryante opened a technical school in April of 2013 which provides free schooling for Miryante orphans who were unable to complete their education in the regular public school system. Miryante Technical School is also open to the general public through a boarding school program for children in the community. Miryante Technical School offers courses in hair dressing, tailoring, brick laying, carpentry, mechanics, and computers. Miryante also expanded its income generating projects to include a roadside cafe and a craft market which sells hand made crafts students make at the technical school. Miryante also expanded its livestock projects to include a piggery. There was another change in leadership in 2014 where a new Parish Priest was assigned to the project: Fr. Erineo Mushuhukye. Fr. Erineo has provided leadership for the project and developed several new agricultural projects for the project including a banana plantation and a coffee plantation. The project was also able to expand its animal husbandry project in size and implement perma-gardening for growing vegetables. It also implemented environmentally sustainable measures such as a biogas facility and drip irrigation from rain-fed water sources. Miryante hopes to support itself through the planting of vegetable gardens and fruit trees. While Miryante is striving to diversify is sources of incomes to increase its sustainability, it still relies heavily on donations from well-wishers all over the world. The project would not be able to survive without the support from people like you who generously give to improve the lives of Miryante children. Thank you for your support!